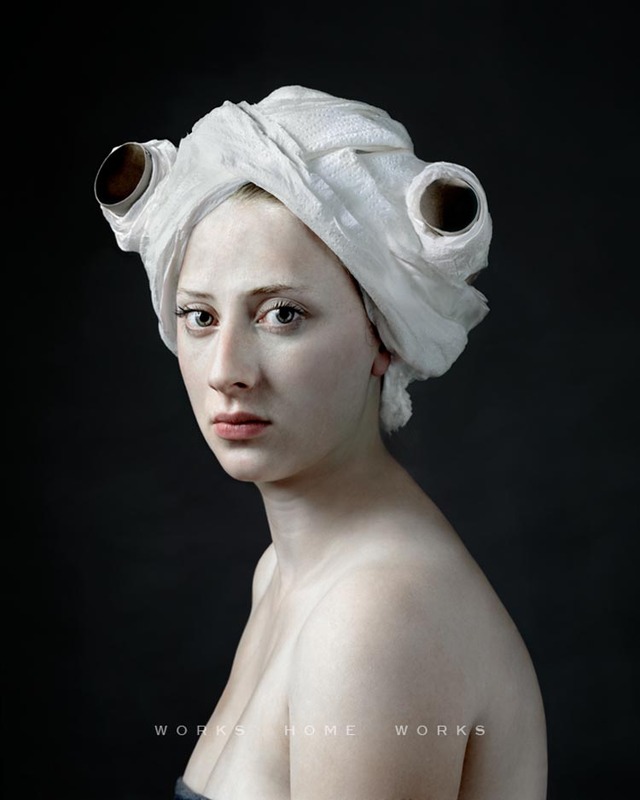 Dutch photographer Hendrik Kerstens has been photographing his daughter Paula since 1995, using her as his model both in photographs reflecting events in her own life, as well as in his humorous series of photos inspired by the 17th century Dutch Masters. His choice of headdresses range from bubble-wrap to trash bags, paper towels to lampshades. Though I’ve seen similar concepts before (see Julia Kissina’s Fairies and Nina Katchadourian’s Lavatory Self-Portraits) Kerstens excellently emulates the Vermeer-style lighting in his Paula Pictures. 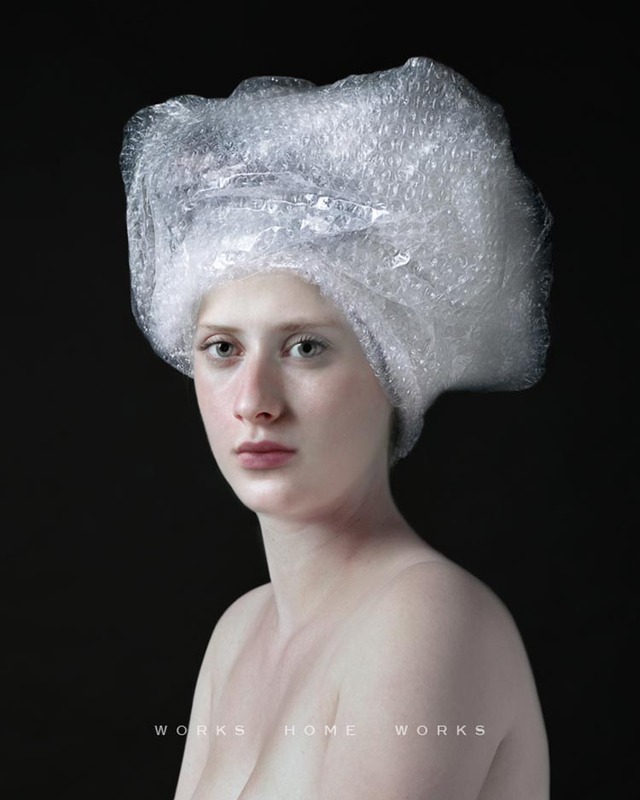 As an additional fun fact, Alexander McQueen (who had been a collector of Hendriks’ photographs) used the image of Paula with a plastic bag headdress for his Fall 2009 show invitation.